El programa de pasantías del Centro Feminista es una excelente oportunidad para cualquiera que esté buscando experiencia en trabajando activamente en una organización de salud y derechos reproductivos. Un entendimiento de nuestro trabajo y aprender sobre varios de nuestros departamentos incluyendo la clínica, recaudación de fondos, alcance comunitario, abogacía legislativa, etc. La experiencia trabajando activamente y nuevas habilidades en tu área de interés. Crear relaciones valiosas y conexiones con gente de pasantías, empleadxs, y nuestras organizaciones colegas, etc. ¡Convertirte en una parte valiosa del equipo del Centro Feminista! Tenemos una amplia variedad de oportunidades de pasantías a lo largo de nuestros varios departamentos. Nosotros típicamente tenemos pasantías cada otoño, invierno, primavera, y verano. Ver las últimas oportunidades debajo y aplica hoy! This internship is an opportunity for marketing, communications and event planning majors to apply their skills in the nonprofit world. You will assist in developing marketing and communications material for FWHC programs as well as assisting in planning our annual fundraising event. Agrees to follow FWHC policies and procedures. Highly organized & detail focused. Evidence of superb writing skills. Prior experience or education in marketing and communications required. Ability to work independently with direction and objectives. Skills in Adobe Photoshop, InDesign and Illustrator preferred. Prior experience in photography or audio & video production a plus. A health educator intern assists our clinic which offers the full range of reproductive health services. 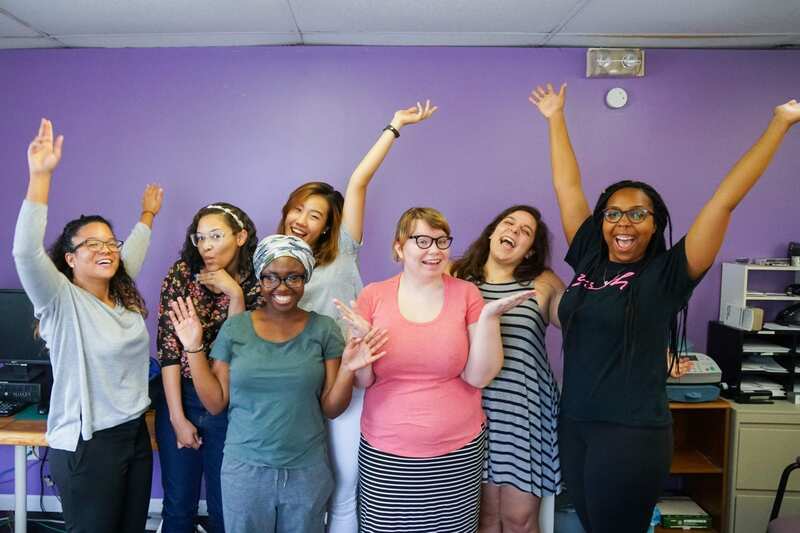 The internship provides an opportunity to observe many aspects of health education and options counseling to a diverse population of women and provides experience for future aspirations, including counseling, social work, and similar positions. Ideally, a health educator intern will have listening and interpersonal skills and a desire to learn. Please note we are not able to provide practicum/supervision for masters level students. Agrees to follow FWHC’s policies and procedures. Must be able to maintain professionalism and advocacy, consistent with the FWHC mission, when dealing with clients and staff. Agrees to handle multiple tasks effectively. Must be willing to be trained and competent in all aspects of the health educator role. Availability to intern on Tuesdays, Thursdays, Fridays, and Saturdays. Saturdays are mandatory. A health advocate intern receives training in all aspects of the health advocate role. The intern gains experience in preparation for surgical procedures, sterilizing surgical instruments, assisting physicians, taking and documenting vital signs, and performing pathology on-site. The intern will be responsible for maintaining cleanliness of the surgical suite as part of the health advocate team. Ideally, a health advocate intern must be able to work within a team in a fast paced environment and be willing to work extended hours while on their feet. The intern must uphold a professional and compassionate demeanor toward both clients and fellow staff members. A sense of humor and a positive outlook is preferred. Must be willing to be trained and competent in all aspects of the health advocate role.